I love tracking trends, especially the robust growth of e-commerce. I have been in the e-commerce industry since 1998 and could not have imagined at that time that it would reach $2.3 trillion in global sales by 2017, representing 10% of total global retail sales1. What is even more amazing is that global e-commerce will almost double in just four short years and reach $4.5 trillion by 20212. While all very exciting, this growth will require retailers to establish strategic partnerships to help them with their supply chain challenges going forward. Partnering with a 3PL is more critical today than ever before. Retailers who run in-house operations will partner with 3PLs to help them gain capacity without sinking investments into new centers. Retailers will need to regionalize their operations and use 3PLs to locate their products closer to the consumer as same-day and next-day service becomes the “new consumer expectation” for shipping. Holiday sales, which increased 18% over last year, will continue to tax the infrastructure3, especially with unemployment at an all-time low average of 4.1%4. So, the question is how to select the right 3PL with whom to partner in this challenging environment. You should have a stringent evaluation of the 3PL that includes its financial strength to invest and grow with the changing demands of e-commerce and its proven experience, and have the chance to talk with referencable clients. Access to Labor and Retention. Automation—such as vision picking, put-to-light, and robots—can augment labor and drive labor efficiencies; however, warehouse associates are still the mainstay of a successful fulfillment operation. Warehouse associates have more options than ever before about where they choose to work. Hourly warehouse rates are increasing year-over-year, and Q4 labor acquisition requires more creativity to compete for labor. Understanding the 3PL’s access to labor and their retention strategy will influence the ultimate success of your program. Standardized Processes. Onboarding new associates is costly, and every new hire has a ramp-up time before they become effective. Standardized processes help onboard new associates and ultimately lead to longer retention. Warehouse functions should be systemically driven, guiding the associate through their functional steps. A paperless environment using Radio Frequency (RF) scan technology is a good start in standardized processing. The goal of standardized processes is higher throughput, which means labor can be used more effectively. Robust Inventory Management. Cycle counting ensures that a high percentage of orders will be processed and, above all, alleviates cancelled orders, which really irritate customers because they are committed to their order once it has been processed. Cycle counting should be a daily function with active pick locations counted once monthly and reserve locations counted once quarterly. Year-end audits can be improved with a strong cycle-counting protocol. Your 3PL partner should demonstrate an honest and transparent approach to managing your inventory, providing daily reports with complete clarity around your inventory position. Rate Shopping Freight Solution. A successful e-commerce solution will combine fulfillment with parcel shipping strategies; they will go hand in hand. In 2008, DHL parcel deliveries in the U.S. saw 50% delivered in zones 5-8. As we track this trend each year, we see fewer and fewer deliveries falling in zones 5-8 and predict that by 2020, 60% of parcel deliveries will be in zones 2 and 35. An e-commerce solution must offer a rate shopping freight solution that provides access to a variety of carriers so that the best carrier is selected for both cost and service. The shipment size, weight, and delivery ZIP code will have major impacts to the shipping costs, and there are different carrier options that make more sense as those factors change. Amazon is now offering same-day delivery to 8,000 towns and cities, and we have seen recent same-day moves from Walmart and Target leveraging their stores. 3PLs will need to provide competitive options to combat this service as this is becoming the new norm. 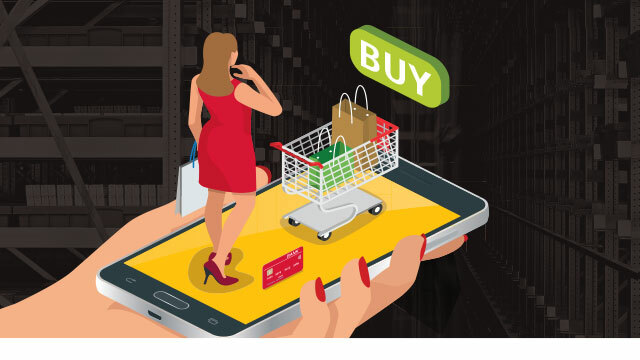 The next four years are going to be very exciting in e-commerce. Retailers will need to select partners to assist with estimated growth and capacity constraints. Key partnerships will help retailers remain competitive, have a better cost position, and deliver a higher quality customer experience. Begin conversations today with 3PLs that you would like to consider, learn about and understand their culture, and dig deep into their operations to make sure they can meet the logistic challenges in the “new e-commerce” economy. The needs of today’s e-commerce supply chains have changed, and it’s tough to adapt—but you are not alone. DHL Fulfillment is a partner you can trust with a global network of transactional shared-use facilities, powered by industry-leading technology and quality, combined with flexible shipping solutions. 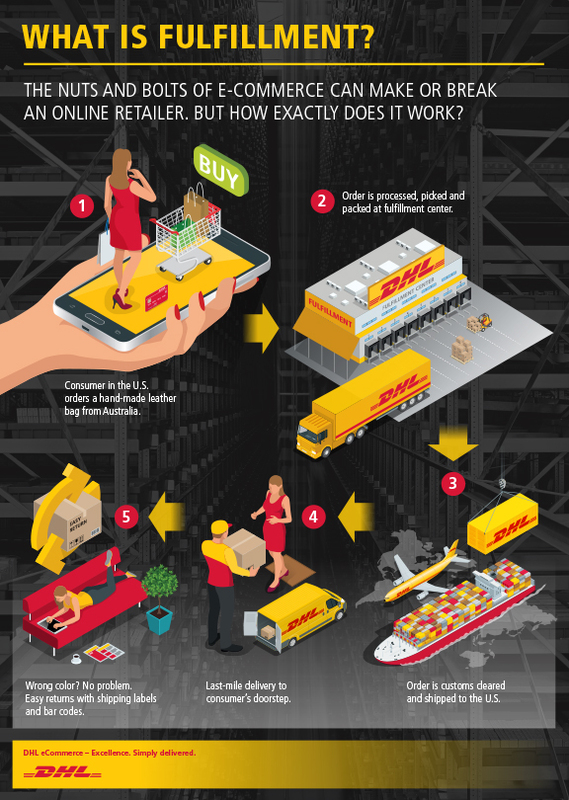 For more information on how DHL eCommerce can be your trusted partner to help grow your business end-to-end, locally or globally, please visit https://www.logistics.dhl/us-en/home/our-divisions/ecommerce.html.